Educational Qualification – The candidate should possess Graduation from a recognized university. 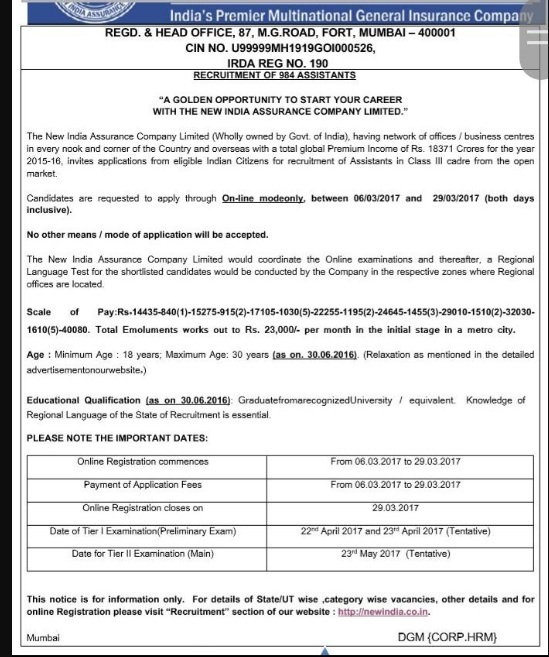 How to Apply – Interested candidates can apply online through the official website of NIACL from 06-03-2017 onwards. The last date for online application is 29-03-2017. Mode of Selection – The candidates will be selected on the basis of online preliminary examination and Tier II examination.